winnie & walter blog: Shay Says Create! Julie here just dropping in with some updates for the weekend. :) Walter wanted to help me write this post, but changed his mind and he plopped down under my chair to chew on his favorite ball. LOL - maybe next time! If you follow us on Instagram, you have caught some glimpses of Shay and her adventures at Simon Says Create! 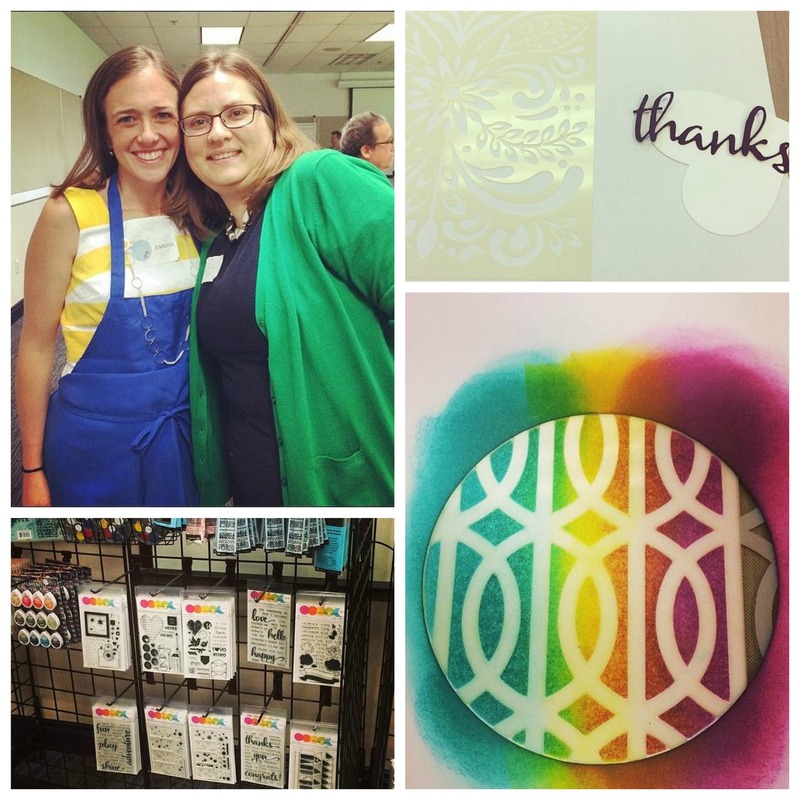 (#simonsayscreate, #wwonthemove ) She seems to be having a ball and and learning some great techniques from some of our favorite crafting icons - Jennifer McGuire and Shari Carrol, Tim Holtz, May Flaum, Kelly Marie Alvarez, Kristina Werner, and more! Keep checking back on Instagram for her adventures throughout the rest of day 2. I'm sure Winnie is missing her very much. We also want to share some exciting news from one of our w&w Facebook family. Jennifer Ingle aka Jingle [did you know she is 2014 Stamping Royalty? Awesome! ], has recently celebrated a Facebook milestone - 1200 fans (and growing - 1246 at this posting). Jingle has been celebrating all week on her JustJingle blog with daily giveaways and today she's sharing a little something from w&w. You gotta click here to go check it out. Congrats, Jingle! We think you are super talented and fun! Wishing you all the best for more and more Facebook fans to come! Hope you have a super fun weekend! Check back with us later this week for more w&w news you won't want to miss. Great post! Thanks for sharing :-) love W & W and Jingle too! I am SO jealous! This looks like such a fun event! Hoping that I can do it next year! Thanks for the fabulous photos!! That even looks like sooo much fun! Congratulations Jingle! What an awesome time Shay is having! how totally fun thanks for sharing..
Aww, great pic of you and Jennifer!! So jealous of all the crafty fun you had this weekend. And YAY for Jingle ... she's just plain awesome!